The author of The House of Hawthorne and Hemingway’s Girl tackles Zelda Fitzgerald. 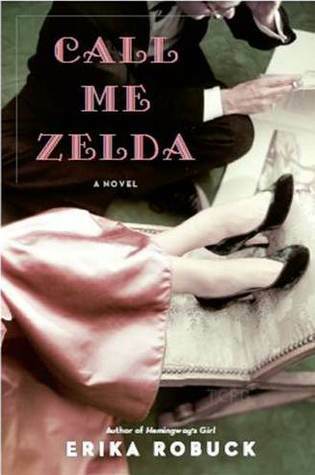 Call me Zelda enters around Zelda Fitzgerald’s struggle with mental illness and with her famous husband, fictionalizing a psychiatric nurse’s presence in their lives and in the writing of Zelda’s own novel, Save me the Waltz. We see the famously tragic Zelda through the narrator Anna’s eyes, as she finds herself drawn to the troubled woman and into the very troubled marriage of the Fitzgeralds, while navigating her own tragic past. Another engaging, fictionalized portrayal of famous writers from Ericka Roebuck, though in the end I much preferred the feel of Hemingway’s Girl.